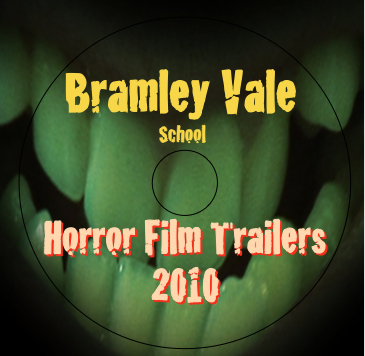 Creative Media & ICT: Creative Partnerships Residency, Chesterfield Part 2 - Horror Movie Trailers! Creative Partnerships Residency, Chesterfield Part 2 - Horror Movie Trailers! Just completed a hectic one day movie making workshop with a class of Y5s and Y6s! We dressed up, storyboarded, scripted and acted out several short movie trailers. From Vampires to Space Wars it was non stop action for the whole class! They each got a DVD o f their completed trailers.